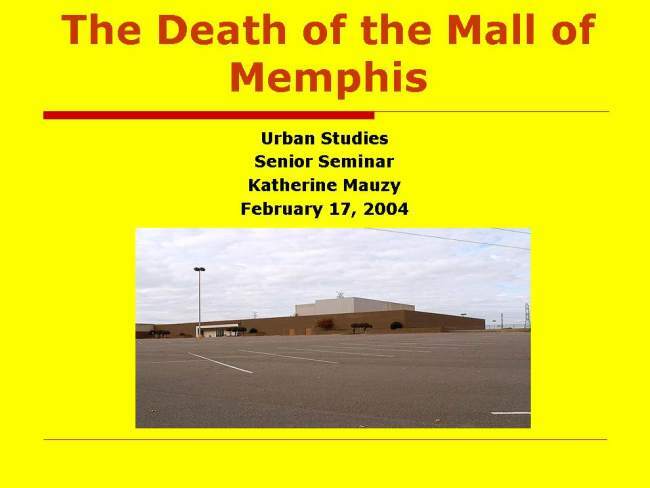 This project will investigate the death of the Mall of Memphis. 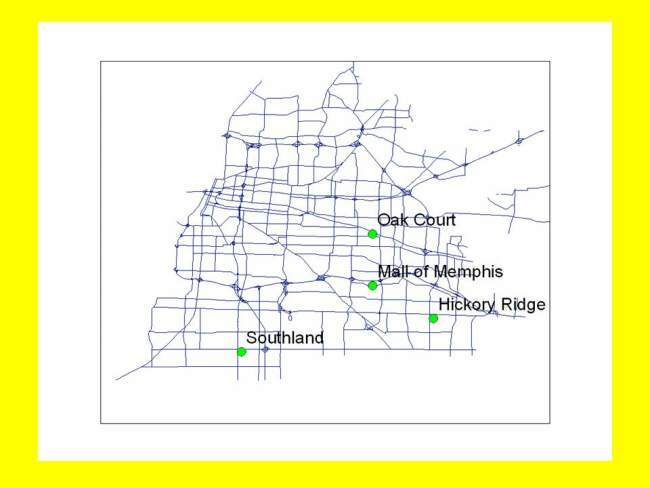 At one point, the Mall of Memphis was considered to be the premiere shopping and entertainment location in the city. 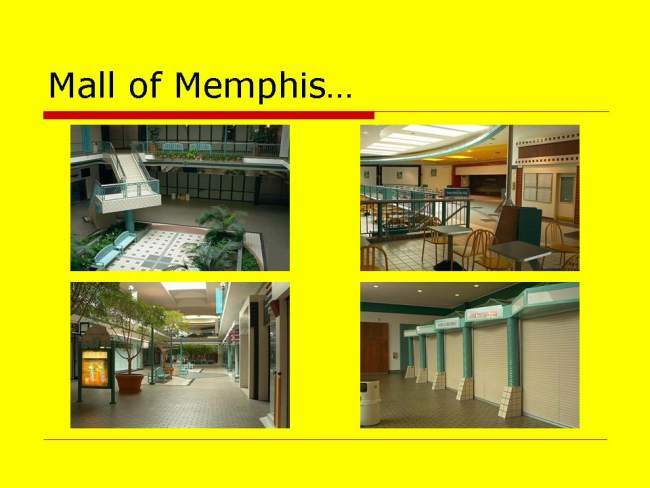 However, like many other urban areas across the United States, the growth and development of Memphis resulted in businesses transformations that ultimately caused the failure of the Mall of Memphis. 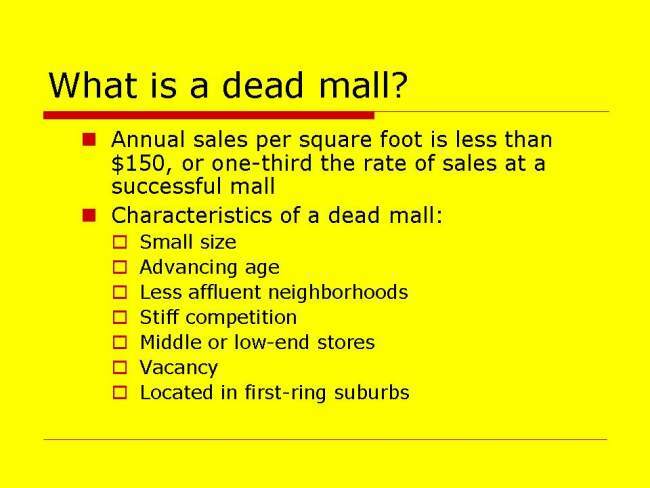 Several hypotheses have been made in order to explain the failures of these abandoned malls. 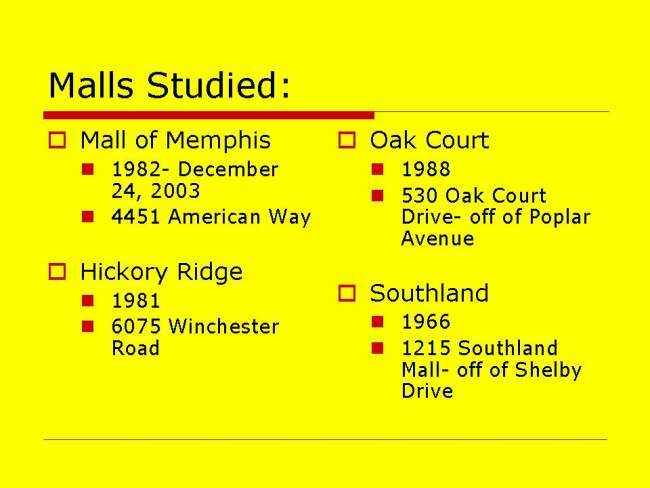 The three hypotheses in this project are that location, competition, and demographics caused the abandonment of the Mall of Memphis. 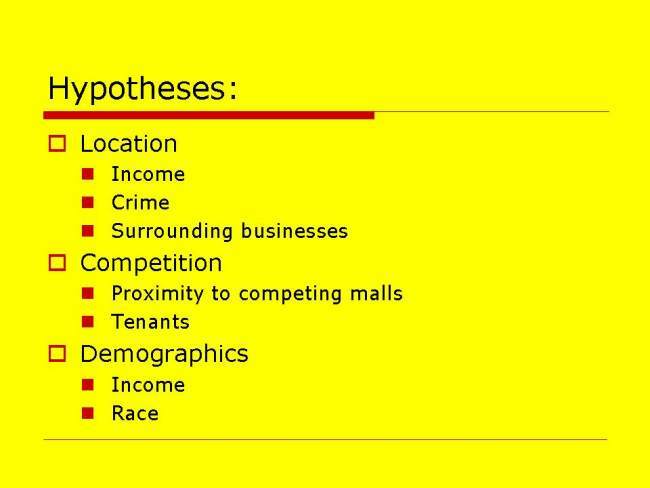 These hypotheses will be used to examine the dead Mall of Memphis as it compares to three other malls in the area. 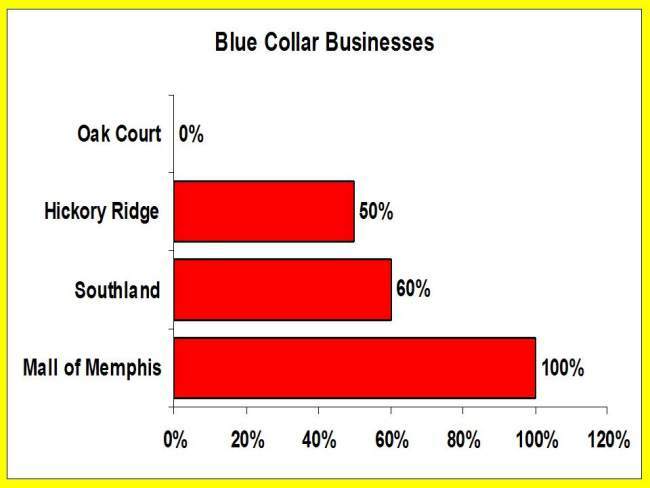 Hickory Ridge, Oak Court, and Southland have been chosen for this comparison due to their close proximity to the Mall of Memphis and their possible impact on the failure of the mall. 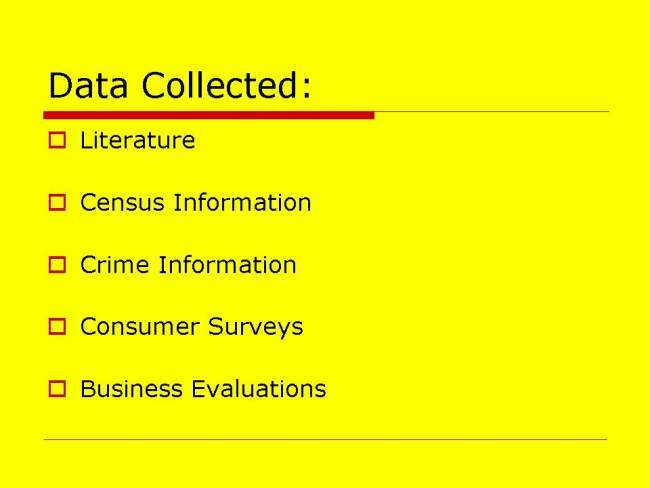 Literature, census information, crime information, a consumer survey, business evaluations, and specific information pertaining to each of the individual malls in Memphis, will be used in combination to test the three hypotheses and to determine the reason for the death of the Mall of Memphis. 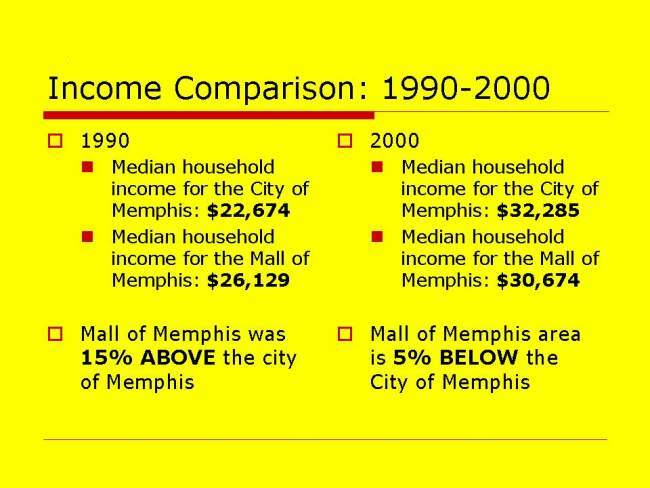 The Media Killed The Mall of Memphis? I was very pleased to be able to obtain a copy of this presentation from the staff at Rhodes College. 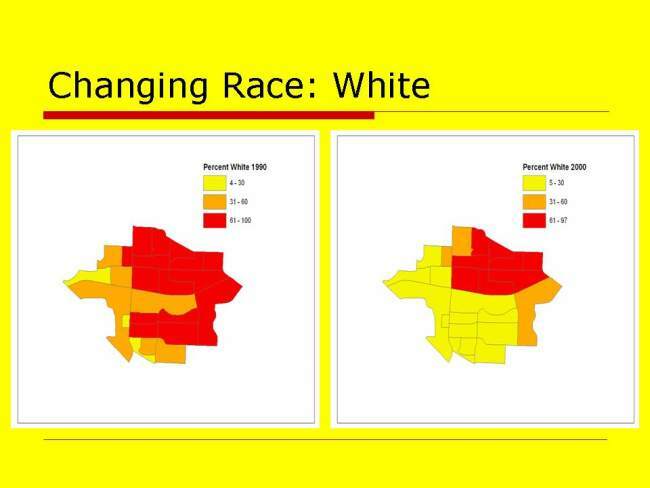 After reading the information in this report, it became apparent to me that something was not as expected. Perhaps there was a very different reason than all the obvious ones for the closure. 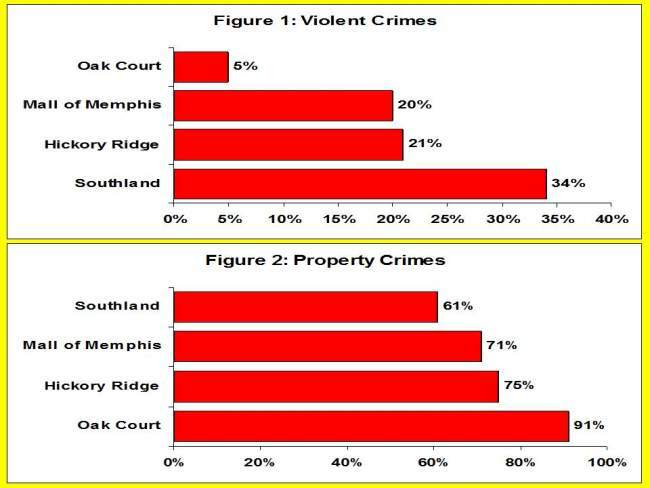 Of the four malls studied, The Mall of Memphis was second after Oak Court in violent crimes, and second after Southland Mall in property crimes. 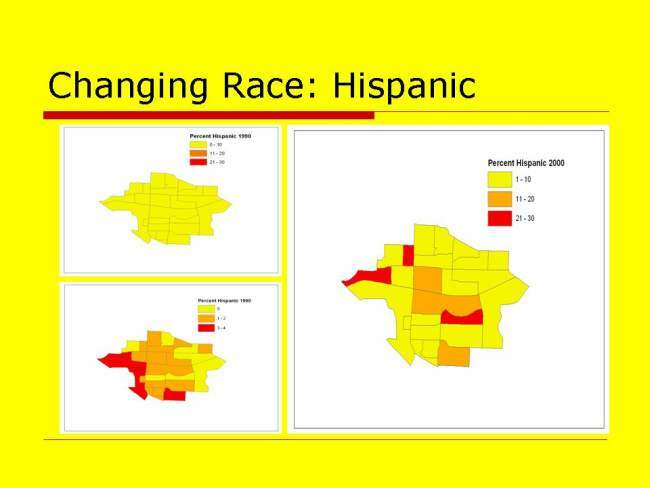 This means that Hickory Ridge, Southland and Oak Court were WORSE, i.e. more crimes than the much maligned Mall of Memphis. 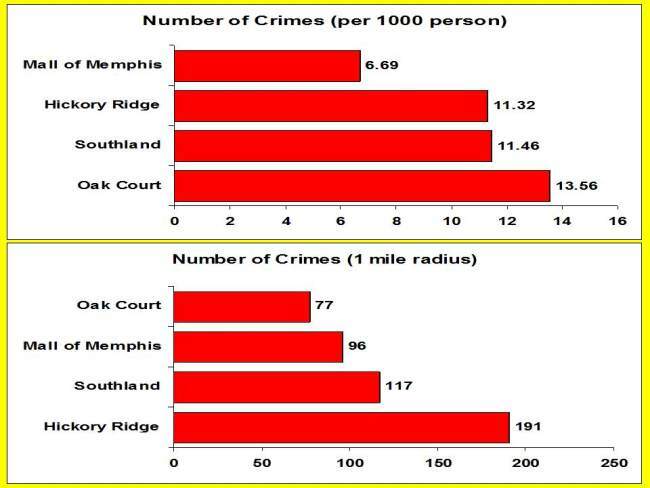 Even more surprising, the Mall of Memphis had the lowest number of crimes per 1000 people of ANY of the malls studied. 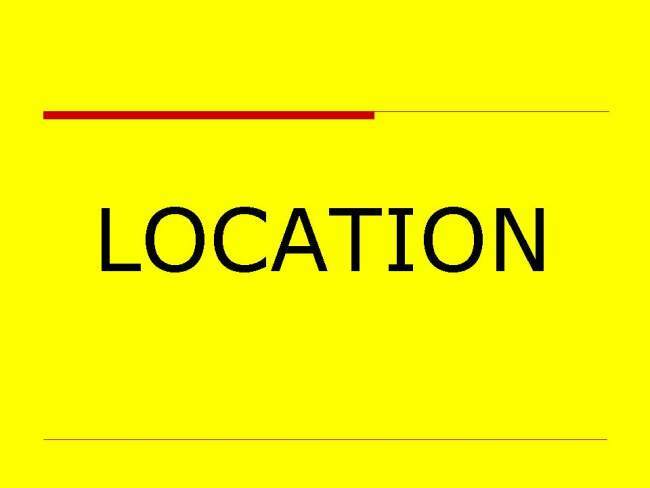 And crimes in the area within a one mile radius of the mall were only lower at Oak Court. 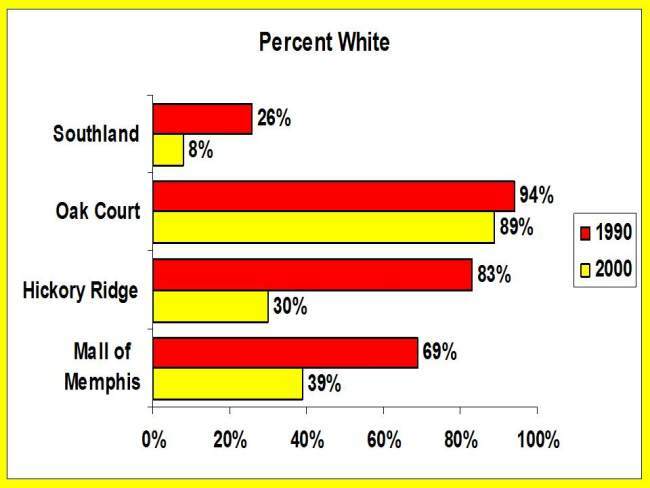 This means that the areas surrounding both the Southland Mall and the Hickory Ridge Mall were MORE dangerous than the area around the Mall of Memphis. Southland mall, Hickory Ridge mall and the Mall of Memphis all had similar income demographics in their surrounding areas. 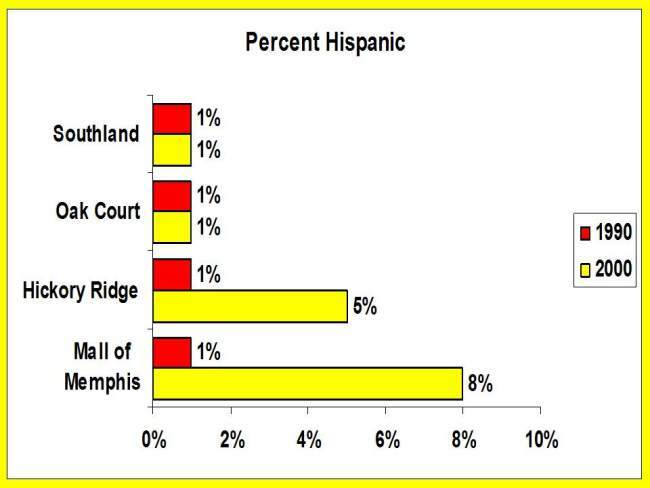 All the malls saw a decrease in nearby white population, and the Mall of Memphis saw the greatest increase in the Hispanic population in the area. 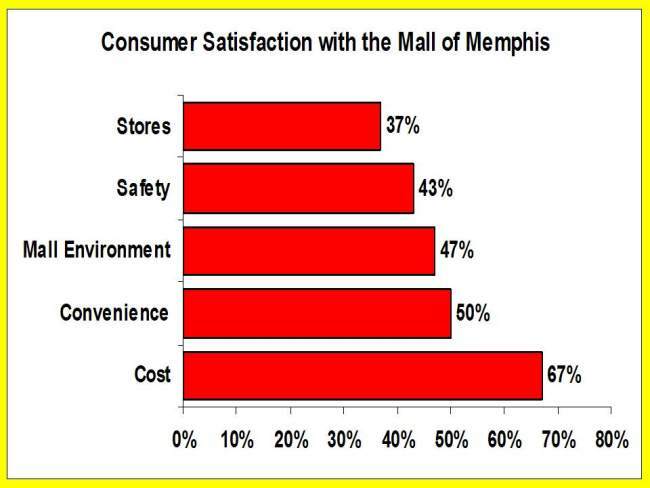 But only the Mall of Memphis received the reputation of being so dangerous as to be unsafe to visit. 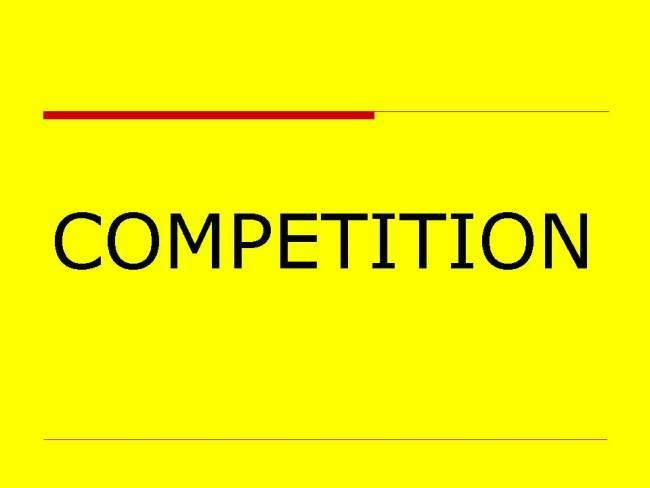 So, according to this study, it wasn't the crime, the competition from newer malls, white flight or any of the other causes often cited. 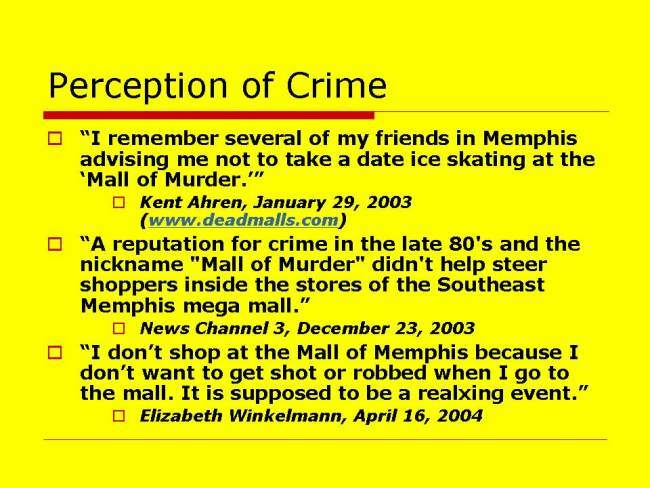 The Mall of Memphis died because of the "perception" of safety in the mall and surrounding area, not the actual safety. 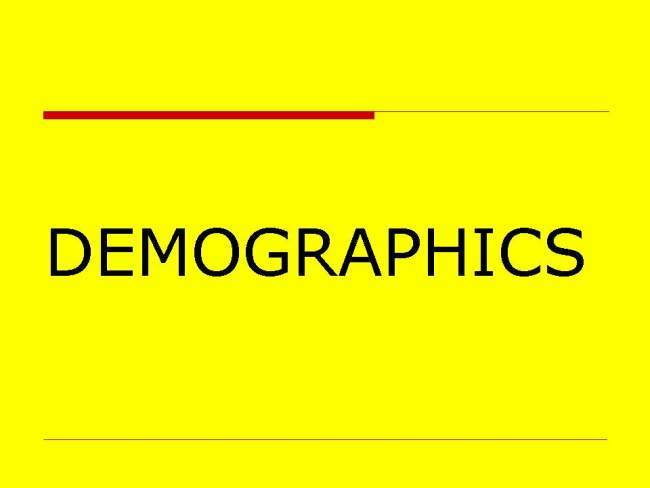 Who created and fueled this perception? As strange as it may sound to those of us who believed the "perception", the media may be responsible for the loss of this Memphis landmark. 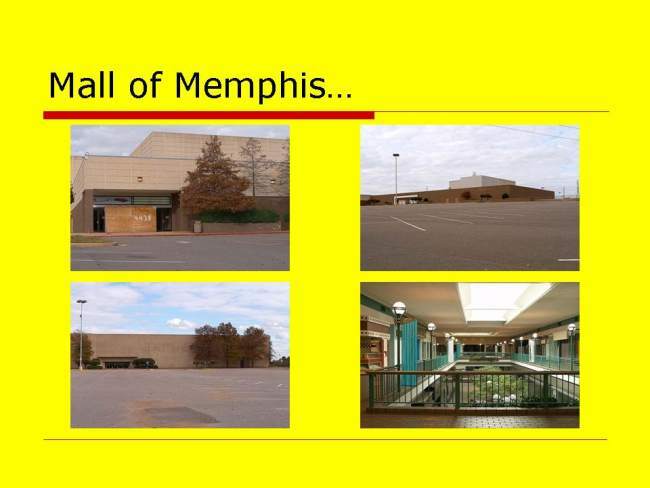 Memphians were simply scared away from the mall. 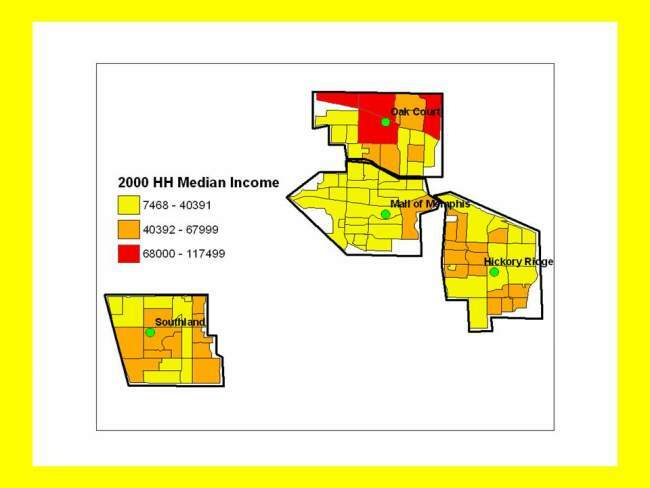 Local reporters from radio, TV and print may have "over-reported" the malls problems. This may have been unintentional, or they could have been acting in a sensational and irresponsible manner. 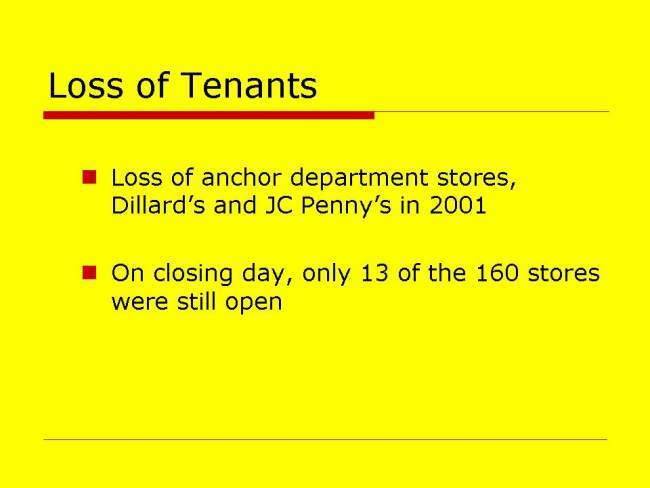 Either way, if this is the root cause of the mall's demise, the loss of the landmark is even more disturbing.